The Lophams’ Society Autumn Quiz was held on the 12th September and despite attendance being slightly down on our Spring Quiz, due probably to some of our regulars taking advantage of a late summer break, the evening was enjoyed by all and especially those who are new residents to the Lophams and those who were first-time quizzers. The next Lophams’ Society event will be the CHRISTMAS DROP-IN on Friday 12th December between 6pm and 9pm. This is a FREE annual event where all Lophams’ residents are invited to join us in the Village Hall for a buffet of festive food, mulled wine, music and carols and possibly a visit from Father Christmas. So please come along and join us in a little pre-Christmas get-together. 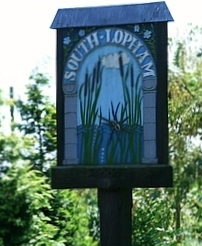 For further information on the Lophams’ Society please contact Roy Clark on 01379 688408.